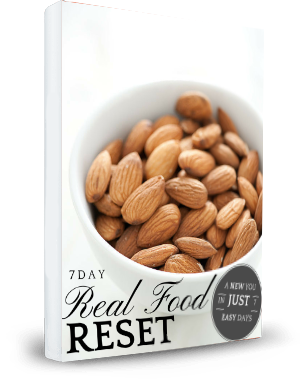 Cut bloating and drop inches fast just by eating 7 days of simple Real Food Reset Approved meals. I feel better. My skin looks better. I can tell I'm cutting out bloating and I have so much more energy than usual. I had no idea eating healthy could be so easy and basic. Thank you! 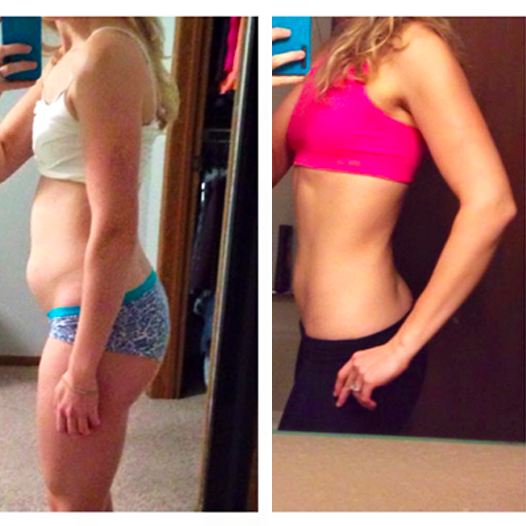 I am so happy with my results from this plan. I never knew I could eat this much food and still reach my goals! 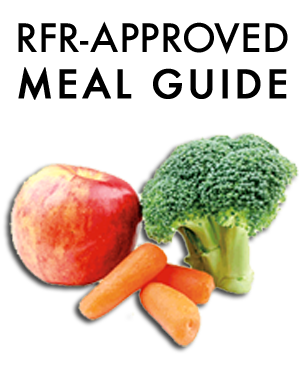 I am blown away by how much better I feel, just by eating these simple real foods. Thank you! Comprehensive 7-Day Guide to help you Set Goals, Reset Your Brain & Fix Your Diet. 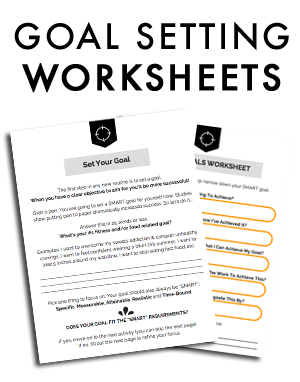 Set your goals and make them stick this time with interactive worksheets to guide you. 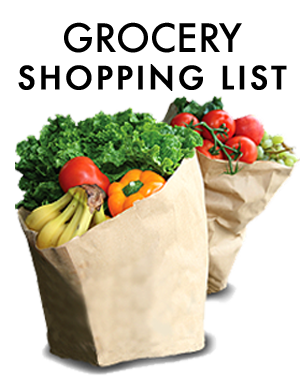 1-Week Grocery Shopping List listing all your Real Food Reset Approved Foods. Quickly get (& keep) yourself on track using these simple accountability activities. 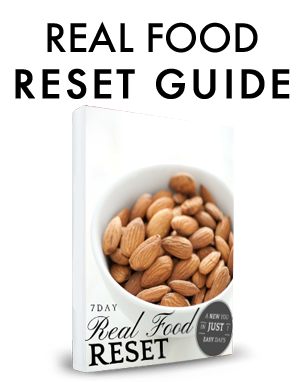 Take out all guesswork -- just follow the Real Food Reset Approved healthy meals guide. 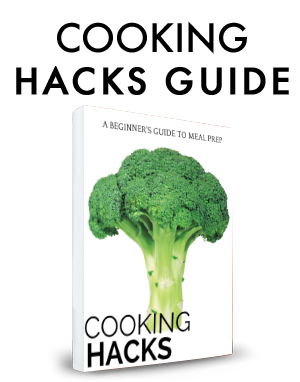 A Beginner's Guide to Meal Prep: Learn how to make healthy food actually taste good using simple hacks! There's A Much Better Way. And You're About to Get the Step-By-Step Resources You NEED to Succeed. 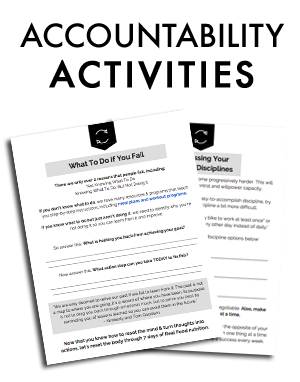 Follow along with the step-by-step worksheets and activity pages to get laser-focused on a Specific, Measurable, Attainable, Realistic & Time-Bound goal. Conquer your barriers to success by doing a few simple brain exercises meant to help you improve your willpower, change the way you see food and eating, and create a Positive Detail Focus while in the process of behavior change. By eating these simple, real foods, you can “reset” your body’s natural fat burning metabolism and get back to a place of balance, harmony and health. rely on willpower alone to accomplish their goal. without 3 other important pieces of the puzzle. You’re at work or school all day. For anyone… Not just for you. matter of time before you slip up. You’ll land right back where you started. Because no one ever taught you the 3-step success equation. physically is very difficult, especially when you’re first getting started. However, it’s not impossible, given the right tools and resources. that the pros use on a regular basis. You’re about to learn the biggest secret in fitness. Willpower alone is flat out ineffective. That’s because willpower is a finite resource. It can be drained. Quickly and easily. This is why you’ve failed in the past. It’s not because you couldn’t do the workouts. It’s not because you “can’t control” your cravings. It’s because you were relying on a flawed adherence system. to get the job done. This idea is based in behavioral science. teach you exactly what to do to make your new lifestyle STICK this time. simple, 3-step formula that has helped over 1,000 people succeed.